Save hours and hours of manual Pinning and ditch the complicated spreadsheets. Add your Pins to SmartLoop once and we’ll re-circulate them for you - indefinitely. Put all those idle Pins back to work. We’ll even import your best-performing Pins for you. Seasonal Loops automatically turn themselves on and off with the seasons so you'll always be circulating relevant Pins at the best times of year. 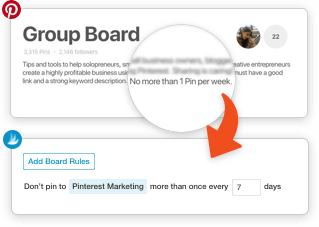 Start looping your best-performing Pins in seconds. 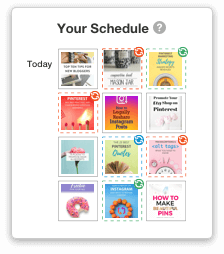 See everything you’re Pinning with our intuitive calendar. Customizable limits ensure you’re not spamming or breaking Group Board rules. 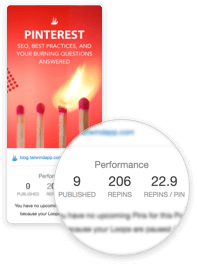 Know what’s working & hone your performance with detailed stats on each Pin.